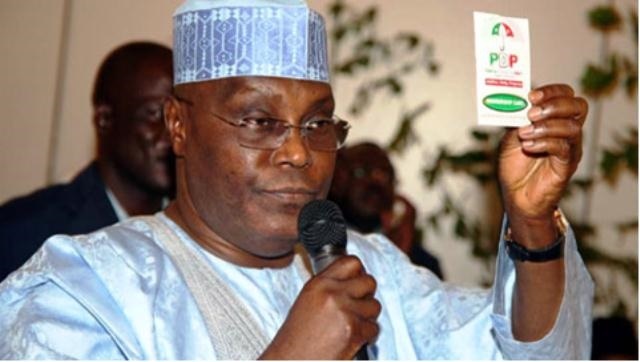 Former Vice-President Atiku Abubakar has officially declared his intent to run for the office of president in the 2019 elections on the platform of the Peoples Democratic Party. He made his ambition known on Tuesday in Rivers State. Atiku had defected from the ruling All Progressives Congress (APC) on 3 December, 2017, igniting insinuations he would return to the PDP to seek the mandate of Nigerians again after four unsuccessful attempts. This move caught many political observers unawares as many were expecting the former VP to decamp to SDP with his followers as widely speculated, thereby increasing his chances of picking up the presidential ticket. He was in Rivers with the former Governor of Ogun State Gbenga Daniel; Senator Abdul Ningi and some other party leaders. With this official declaration, Atiku has joined other apirants: Sule Lamido and Ayodele Fayose to battle for the sole ticket of the party. Other contenders are Governor Ibrahim Dankwabo of Gombe State and former governor of Cross River, Donald Duke. He, however, played down his own position in the PDP, insisting that all members of the party are equally important.